James Caan has been a staple in cinema since the 60's and his turn as Paul Sheldon, in the Stephen King classic Misery, has forever cemented his place in horror fans hearts. Just the name James Caan brings a sense of quality that can drawn you in to just about any picture, but for The Good Neighbor he is the icing on a well crafted cake. 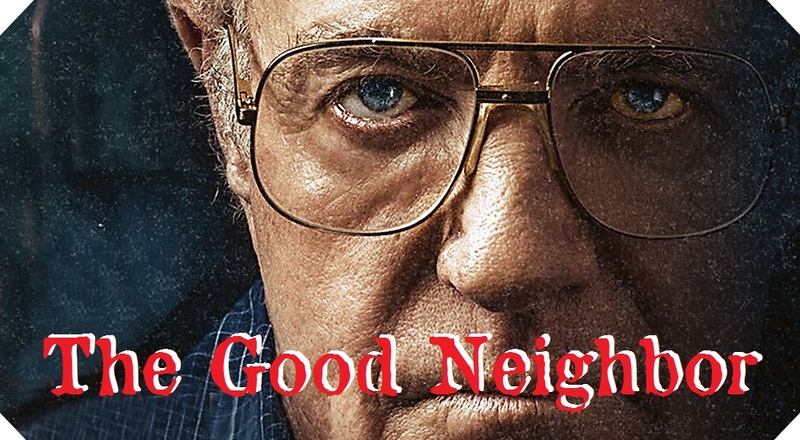 A pair of mischievous high school kids (Logan Miller, Keir Gilchrist) create the illusion of a haunting on an unsuspecting neighbor (James Caan). While keeping his every reaction under surveillance, they see much more than they bargained for, and discover that the man they're tormenting is not the easy target they'd expected. The casting of Logan Miller and Keir Gilchrist is exceptional and the duo complement each other as friends, but at each end of the personality spectrum. Miller is the care free, lets just do it type, while Gilchrist is the more levelheaded of the two. The story of the two friends is just as compelling as the one being told about Caan's character, which makes for a movie with no drag or slow spots. Caan may not deliver much in the way of dialogue but when he does it is deep, chilling and cuts to the bone. Most of what Caan brings is purely raw acting talent, carrying scenes with intensity and power with no words, just physicality. At 76 years old Cann is still intimidating as ever and can make the hair on your neck stand just by being present. The cinematography is another key element at play here and is so well done that it feels like a fourth character in the movie. The bounce between standard filming and documentary/found footage shots draws you in and fills in those gaps that would exist if this were just your average movie. The Good Neighbor keeps the suspense and tension going all the way up to the last shot. This is how you make a suspenseful film in 2016 without cheap gimmickry. If you are a fan of Hitchcock's Rear Window then this is a must see. If you don't know that film, think Disturbia meets Don't Breathe.